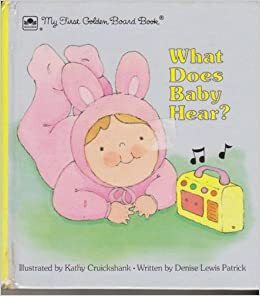 Without getting all scientific on you, I’d like to start off today’s post by stating that there is no better way to launch babies into their intellectual development than by reading to them. I started reading to my kids before they were born. That may be quite unnecessary, but it’s what I did. I’m not going to bring in scientific data, there are plenty of websites for that. I’m just sharing my personal experience in this. The more we read and the earlier we read in our kids’ lives, the better their vocabulary and logic skills are as toddlers. Reading with your babies molds these little people into children who are actually fun to be around! 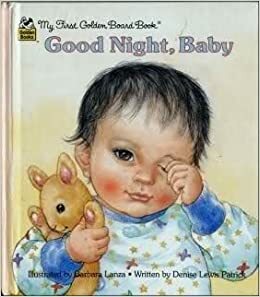 If you’ve had a baby, you probably already own one or more copies of Goodnight Moon and The Very Hungry Caterpillar. 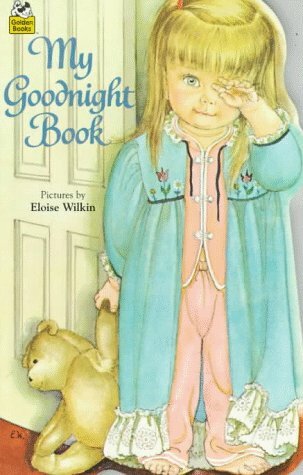 Those books are classic and wonderful, but what I want to share is the lesser known books my own children loved before age one. The first three are from the First Golden Book series. They’re so sturdy–my little boy is rough and tumble and loves these books, but they’ve shown no wear. This is Day 29 of the 31 Days of Picture Books Series. Read the rest of this series here. 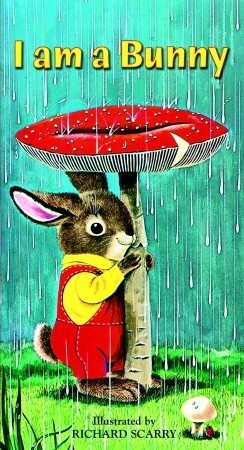 We actually still have the same copy of “I am a bunny” that my mom read to me when I was a toddler. What’s cool is that I still remembered the pictures at age 25, good books have that kind of impact when you’re young!